One Body: Exploring the many faces of Catholicism in Preston. One Body: exploring the many faces of Catholicism in Preston. 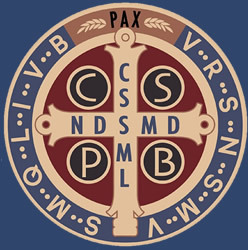 A series of evenings each led by one of the different expressions - from those who are new to Preston such as ICKSP, the Neocatechumenal Way and the Syro Malabar Rite to those who have been in the area for many years such as the Jesuits and Benedictines. A chance to learn about and celebrate the variety that makes up the Body of Christ here on our doorstep and an opportunity to meet with members of the different expressions and foster unity. There are records of Jesuit priests working in Preston from 1701 with several of the Churches in Preston having a Jesuit connection. Their current church, St Wilfrid’s, dates back to 1792. The Jesuits are a religious order of priests and brothers founded by St Ignatius Loyola in 1540. Ignatian spirituality sets a person free to find God’s will for them by a process of spiritual discernment, and then generously to put it into practice. Arriving at St Walburge’s in 2014 and also taking over responsibility for English Martyrs in 2017, the Institute was founded in 1990 in Gabon, Africa. 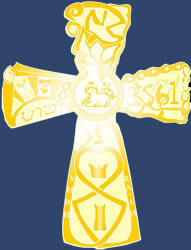 Their goal is the honour of God and the sanctification of priests in the service of the Church and souls. An integral part of the Institute's charism is the use of the traditional Latin Liturgy of 1962 for the Holy Sacrifice of the Mass and the other sacraments. Benedictines have served Parishes and been active in the Preston area since 1690. The Benedictine tradition of hospitality is at the heart of every community who live a balanced life filled with work and prayer. The vows of stability, conversatio morum and obedience commit them to serving God in one community for the whole of their lives. 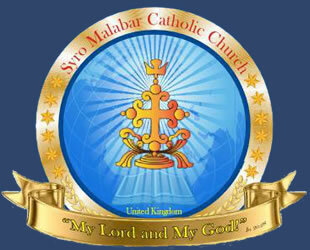 The Syro-Malabar Church is one of the 23 autonomous Eastern Catholic Churches in the Catholic communion. They trace their origins to St. Thomas the Apostle, who landed in Kerala, India, in 52 AD. Whilst there has been a Syro-Malabar community in Preston for many years, it was in 2015 that St Ignatius Church was given over for their use and in 2016 that Pope Francis erected the Eparchy of Great Britain with its episcopal see in what is now the Cathedral of St. Alphonsa. Carmelites have been present in Preston since 1917 with the Carmel in Preston still home to the enclosed order of Discalced Carmelites. Third Order Carmelites are lay people who follow the mission of Carmel to transform the secular world after the teachings of Jesus. This is accomplished through the Carmelite charism and dedication to prayer, community and service. The Neocatechumenal Way is a charism within the Catholic Church dedicated to Christian formation, taking its inspiration from the catechumenate of the early Catholic Church. Formed in Madrid in 1964, there are now more than 1 million Catholics around the world following the itinerary. In 2014 missionary families brought their mission to Preston and are based at St Clare’s. Formed in Preston in 2011, Metanoia Project is a Catholic charity for the New Evangelisation, ministering to people of all ages, proclaiming the Word and serving the poor in the Preston area and beyond. Living by the three attitudes of Communion, Detachment and Mission they offer both the initial proclamation of the Gospel as well as ongoing discipleship through a variety of groups, events and initiatives, helping to support and build the local Church. The parish is a stable community of the faithful whose pastoral care has been entrusted to a parish priest, under the authority of the diocesan bishop. To round up our series, Fr Andrew Allman will discuss the universality of our Parishes which are often influenced by different expressions of Catholicism and even incorporate different groups within them whilst sustaining a unified family.